If you find there are no time icons at the bottom of the task bar and restsrt the computer does no work, what can you do to resote the icon? This aricle will show you the detailed steps to find the missing time icon. Step One: Right-click on the task bar on the bottom of the desktop, then select “Properties” in the list. 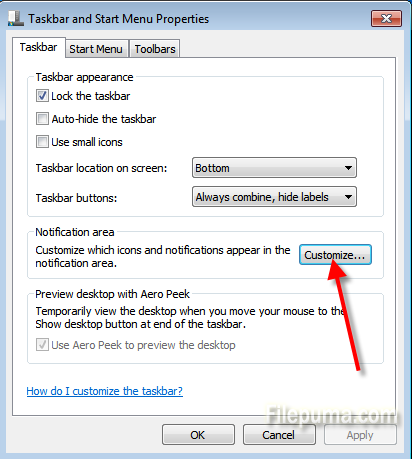 Step Two: In the “Taskbar and Start Menu Properties” window, select “Takbar” tab and click “Customize” in the Notification area. 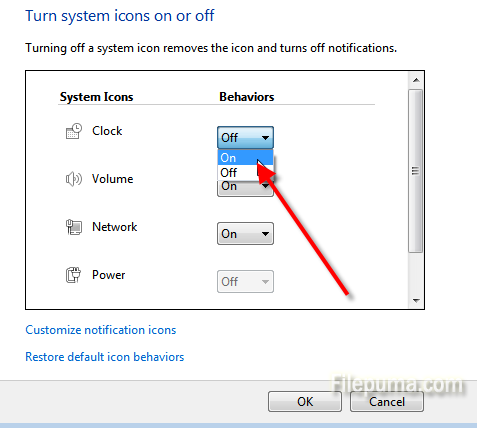 Step Three: Choose “Turn system icons on or off” link. 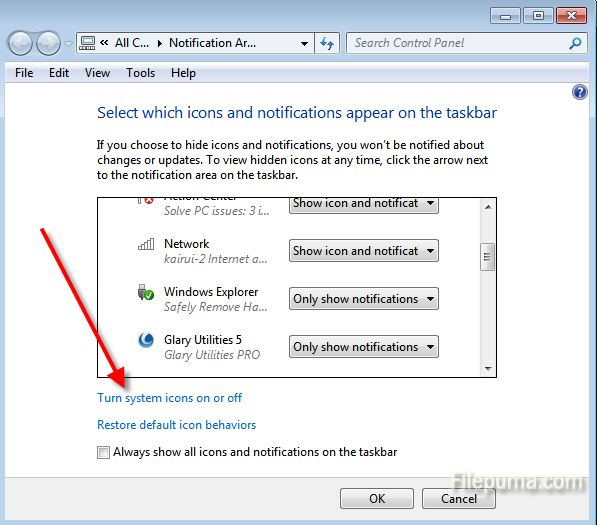 Step Four: Find the clock icon and set the icon on by clicking the drop-down list.